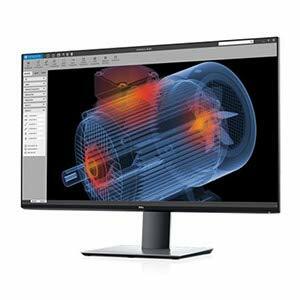 Capture every element: Experience four times more detail than Full HD with 3840x2160 Ultra HD 4K resolution. Visually stunning: Your images shine the way they were meant to on the world’s first 31.5” 4K Ultra HD monitor featuring HDR content playback support. Impressive color and details: See realistic colors—from the brightest whites to the deepest darks—with a peak brightness of 400 nits, an impressive color depth of 1.07 billion colors and a high contrast ratio. 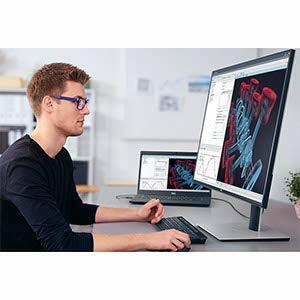 Color consistency comes standard: Your UltraSharp monitor is factory calibrated at 99% sRGB coverage to an accuracy of Delta-E less than or equal to 2, for precise hues right out of the box. And, with 95% DCI-P3 and 99% Rec. 709 color coverage, you can trust that your videos reflect lifelike color. Easy to use. Efficient to manage. One cable. Many uses: Declutter your desk with the included USB-C cable. This single cable solution delivers up to 90W of power, charging your device, while transmitting data, video and audio at the same time. Multitask efficiently: Picture-In-Picture (PIP) and Picture-By-Picture (PBP) features make it easy for you to view content from two different computer sources simultaneously. Simple manageability: Switch between applications from two PCs on your screen and work on the content using only one keyboard and mouse with the convenient Keyboard, Video and Mouse (KVM) feature. 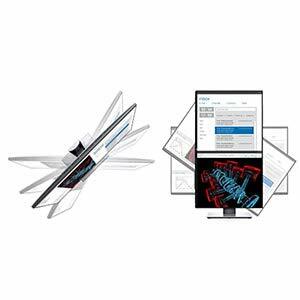 More ways to work: Conveniently select from predefined templates with the Easy Arrange feature on Dell Display Manager software. Quickly tile and arrange your applications and get back to work faster with Auto-restore, a feature that remembers where you left off. Take your view to the edge: With Dell InfinityEdge, you can enjoy an expansive edge-to-edge viewing experience on this virtually borderless display. Easy on the eyes: This monitor has a flicker-free screen with ComfortView, a feature that reduces harmful blue light emissions. It’s designed to optimize eye comfort even over extended viewing sessions.